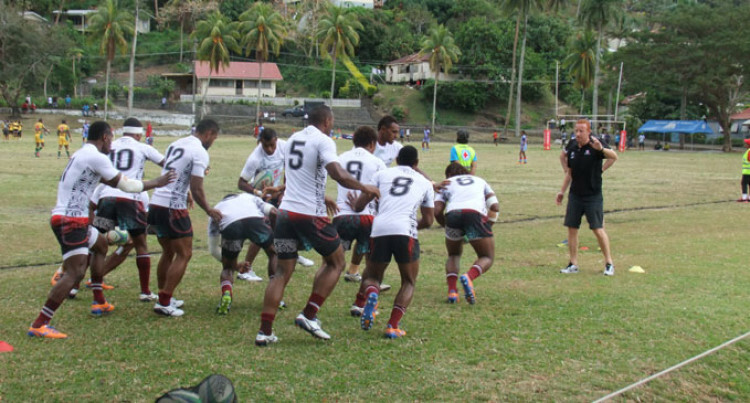 Vodafone Fiji 7s Coach, Ben Ryan yesterday named the two teams for the Gold Coast and Oceania 7s which sees seven first time players and the return of five former 7s players. Isake Katonibau and Apisalome Waqatabu return to the 7s scene and have both been named in the team for the first leg of the 2014/2015 IRB World 7s Series. Apisai Naqaliva who is closely related to French 7s player Vereimi Vakatawa has also been named in the team alongside, Fiji Warriors player, Sainivalati Rawaca. Notable names in the Occeania 7s team to Noosa are Nasoni Roko, Isikeli Vuruna and Niko Verekauta. The Vodafone Fiji 7s team have been drawn with hosts Australia, Scotland and Portugal in Pool C for the Gold Coast 7s Tournament next month.